100% of the proceeds when purchased at local high schools returns to that school towards their Be the Change projects. Any additional remaining profits return to SEEDS Connections for increasing opportunities for students from regions across Alberta to participate in the CONNECTIONS program. The actual size of each calendar is 9.25" X 12.25". Click on the cover below to view the rest of this years calendar! 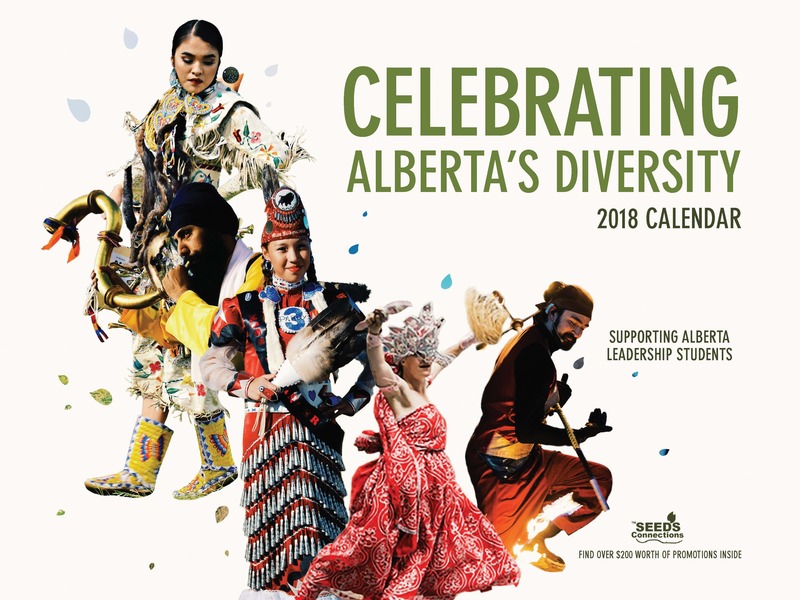 The Alumni leading the Celebrating Alberta's Diversity Charity Calendar project are grade 11 and 12 students, seeking to expand on the diversity and leadership skills gained during their experiences in the CONNECTIONS Program. Check out the 2017 Celebrating Alberta's Diversity Calendar here.